Based on plastic compounding technology and most advanced extruding and quality control equipments, Plalloy provides excellent thermoplastics compounding and coloring services. Many of our customers outsource their complete production to Plalloy. We can do the compounding and coloring for all of the thermoplastics except PVC. 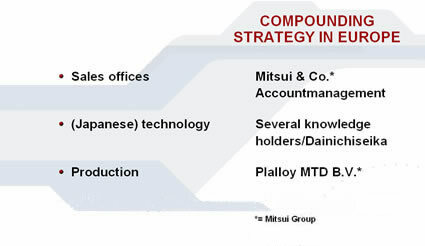 Plalloy has a very good trackrecord in tollcompounding and belongs to the most outstanding companies in Europe in this sector.